Planning to vote in the 2018 midterm elections? Check your voter registration and your state's deadline below. The 2018 midterm elections are less than three weeks away, and voter interest is running unusually high. According to a survey released Sunday by Washington Post-ABC News, 77 percent of registered voters say they'll definitely vote, compared with 65 percent who said the same in a Post-ABC poll in October 2014. If you count yourself among their ranks, make sure you know the last day to register to vote in your state. If you haven't registered, your chance may have already passed. In New York, the deadline was Oct. 12. But in several states, you can register right up until Election Day, which is Tuesday, Nov. 6. When is the last day to register to vote in my state? Here's a complete list of the last day to register to vote in every state. A number of states offer early voting. (Unfortunately, New York is not one of them.) Here's a complete list of when and how you can vote early. Experts are predicting a record turnout in the midterm elections, the highest since the mid-'60s, NPR reported today. 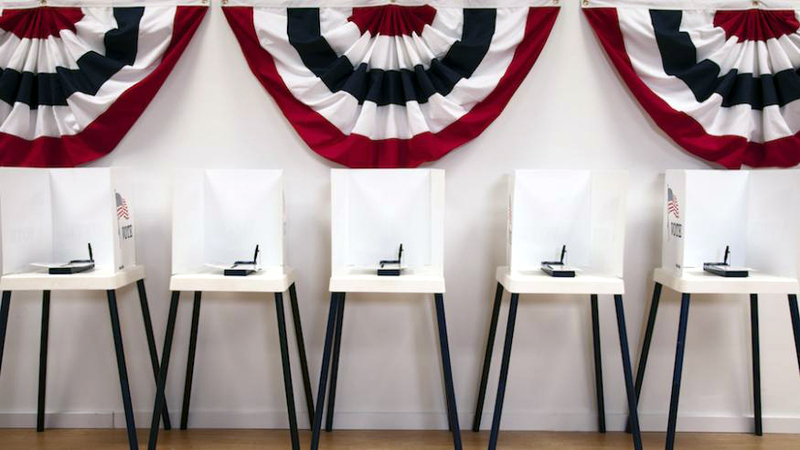 "It's probably going to be a turnout rate that most people have never experienced in their lives for a midterm election," said Michael McDonald, a University of Florida professor who studies turnout and maintains a turnout database. McDonald forecasts that 45 to 50 percent of eligible voters will vote — a turnout not seen since 1970, when 47 percent of voters cast a midterm ballot, or 1966, when a record 49 percent did. Turnout for the primary elections was particularly high. According to a study by a Republican pollster of voting in 35 states, Democrats had a 78 percent increase in turnout compared to 2014, while Republicans had a 23 percent bump. Since then, the confirmation fight over new Supreme Court Justice Brett Kavanaugh has increased voter interest on the Republican side. Midterm elections are typically a referendum on the performance of the president. Since World War II, the president's political party has lost seats in Congress in every midterm election.